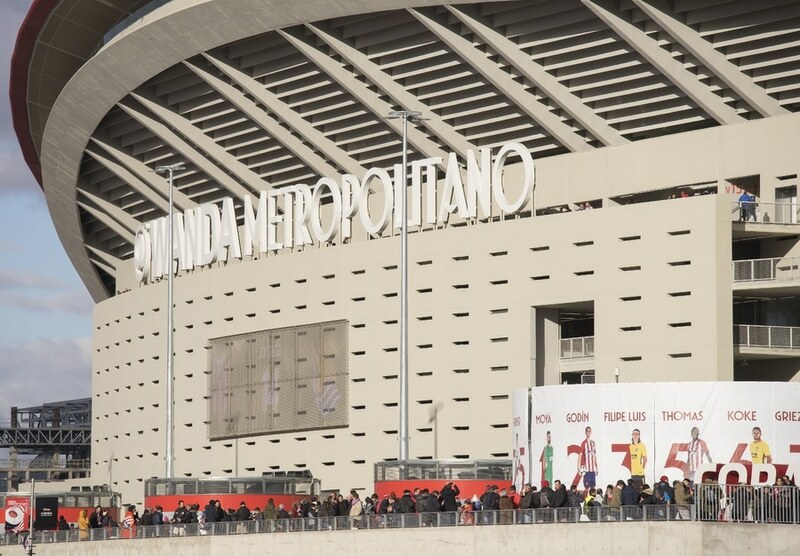 Under a new name this stadium was handed over in time for the start of the 2017/18 season. 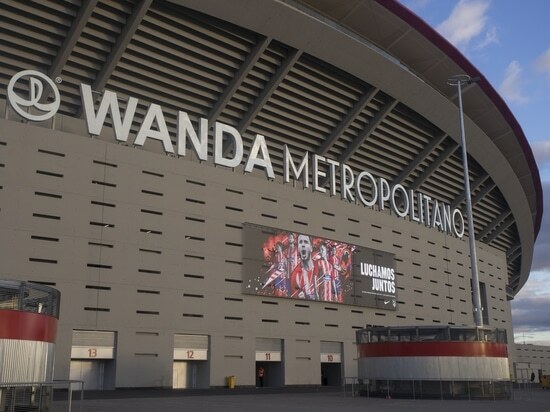 Atlético replaced the previous name La Peineta – a reference to the main stand's similarity to a comb – with Wanda Metropolitano. 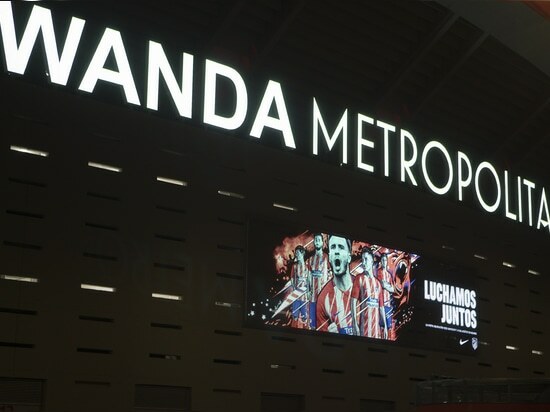 With this, the club combined the name of its Chinese sponsor Wanda Group with a reminder of the Estadio Metropolitano, the club's home from 1923 to 1966. Only the imposing main stand of the old stadium was retained. 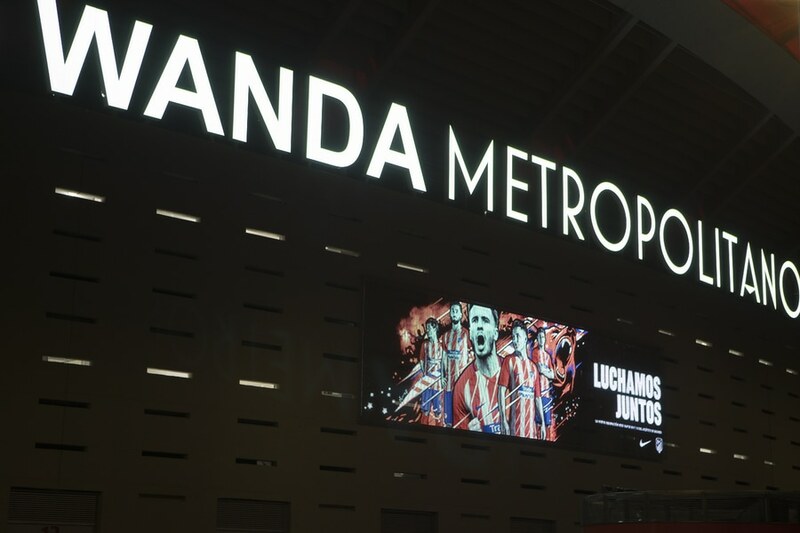 In contrast to the previous home stadium of Atlético, the Estadio Vicente Calderón, the Estadio Wanda Metropolitano located around 20 kilometers further east meets the highest standards in terms of convenience, safety and sight lines. This puts it among the very elite of European soccer stadia. A significantly greater gap between rows enables fans to reach their seat without any hassle. To allow this, the theoretically possible capacity of 73,000 was reduced to 68,000 – 12,000 more than in the Estadio Vicente Calderón. The stands, which extend all the way to the sidelines, are fitted with seats in the club's colors of red and white. 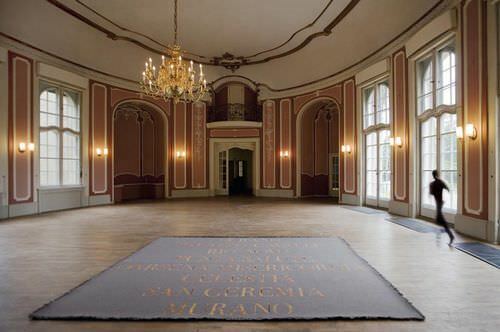 Clearly structured areas optimally guide the flow of spectators. Shops and gastronomic offerings were designed in such a way that they are also accessible from outside. 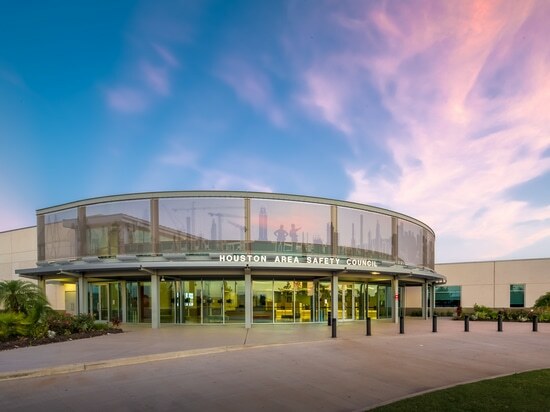 Moreover, all entrances and emergency exit routes were designed in line with state-of-the-art concepts. 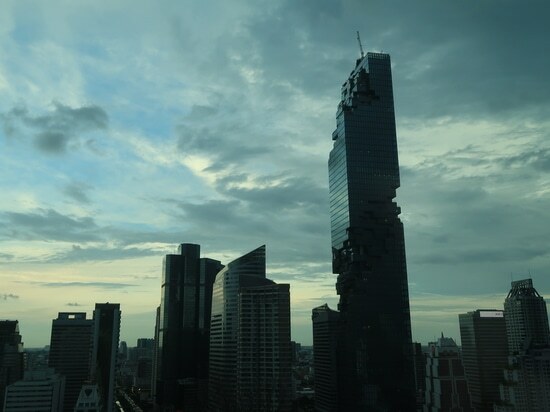 One example of this are the dedicated elevators for each individual area and convenient entrances with disabled access. 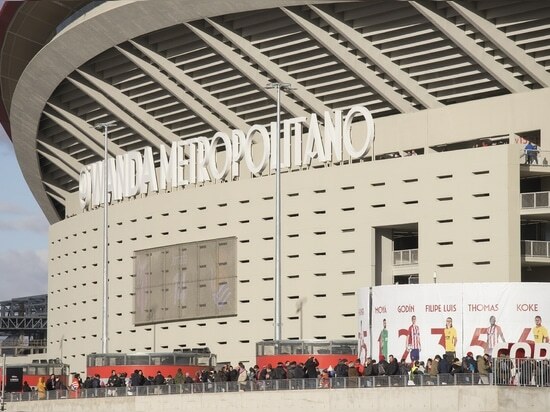 Another convenience-boosting factor for the visitors is the total of 3,000 parking spaces around the stadium as well as a further 1,000 in the underground parking garage under the arena. The gigantic spoked-wheel membrane roof with integrated LEDs protects virtually all seats – only 300 seats are left uncovered. 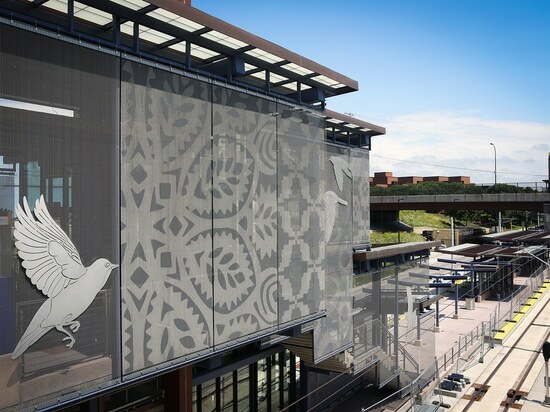 At the same time its spectacular design organically combines new and old parts of the building. 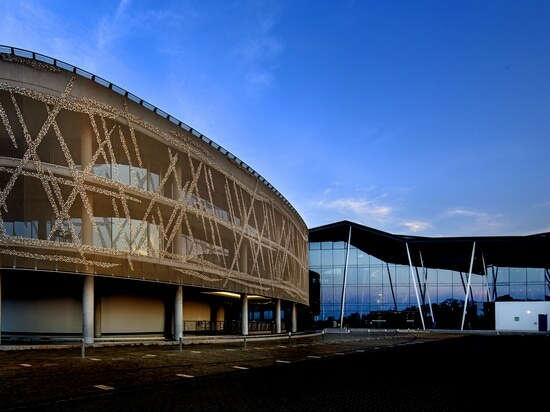 Viewed from the inside, the roof is reminiscent of the Maracanã Stadium in Rio, while from the outside its colorful illumination is similar to that of the Allianz Arena in Munich. and cold-resistant system does not require external cooling, MEDIAMESH® is highly economical when it comes to energy consumption. This extraordinary spectrum of qualities allows the famous top-flight club to give its fans an emotional experience that is totally unique in Spain to date upon their arrival at the stadium.